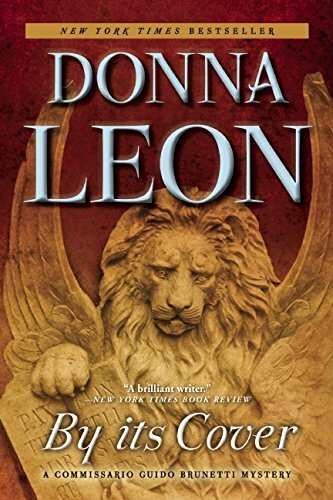 By Its Cover, the twenty-third Commissario Guido Brunetti mystery by Donna Leon, deals with the plundering of artworks and books by unexpected impersonators, thieves, and vandals. 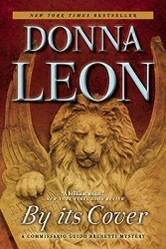 By Its Cover attests to worldwide respect for Venice-based writer Donna Leon by constituting title #23 in the Commissario Guido Brunetti mysteries. It begins with the broken right arm, concussion, and missed flight consequences of inside jobs competing for percentages of fares on an American couple through the concierge calling one water taxi and the porter another. It then considers the inside or outside job of stealing 12 rare books and vandalizing 31 at the Zattere’s Biblioteca Merula of Dorsoduro 3429. Theft and vandalism diminish the utility and value of the affected items and of the entire collection. The above-mentioned deep truth emerges throughout the Old World where Europe’s Interpol and Rome’s Art Theft division investigate disappearances. 23 library books, of which 2 Vicenza Public Library. Is the thieving vandal a killer in four-year-old, 143-euro, size 43, waffle-soled boots? a Sicilian prince’s widowed daughter furnishing much of the 200 manuscripts and 8,000 books in Merula’s 30,000-item collection ten years previously and 100,000 euros every year thereafter. What keeps a Vicenza private boys’ school’s ex-theologian from pressing assault charges against his ex-lover’s ex-boyfriend? What leads Merula’s directress to compromise security? Venice at night: Biblioteca Merula is located on Fondamenta da Zattere, the quay which runs along Venice's long southern shore in the island city's southwestern area, Dorsoduro. Piero Sartor, guard gambling Gratta e Vinci (Scratch and Win), librarian Manuela’s baby’s gender, 30,000 to 50,000 euros during 23 visits to Alvino’s casinò. A frantic call from the director of a prestigious Venetian library about pages stolen from rare books opens a case for Commissario Brunetti leading him to question his expectations about what makes a man innocent, or guilty. Does an obsessive Gratta e Vinci (Scratch and Win) player become involved in high stakes vandalism of valuable antiquarian books? Leon, Donna. 1 April 2014. By Its Cover. A Commissario Guido Brunetti Mystery. New York, NY: Atlantic Monthly Press. Ramusio, Giovanni Battista. 1574. Venezia: Giunti. Secundo Volume Delle Navigationi et Viaggi. Biblioteca Merula, scene of theft and vandalism of some of its rarest books, is set on Fundamenta delle Zattere (Zattere Quay), which stretches along almost entire length of Canale della Giudecca, one of Venice's major canals. sandyspider, By Its Cover and The Jewels of Paradise are my favorite books by Donna Leon. I appreciate the way she deals with interesting and timely themes in a criminal context with an eye to cultural accuracy and without belaboring physical violence or unpleasant personality traits. Very interesting. Love intriguing books like this. directions, Donna Leon's work of fiction acts as an introduction to and a review of the horrors of repurposing almost anything valuable by way of gem-by-gem, page-by-page, panel-by-panel theft and vandalism. It's one of the many reasons why By Its Cover remains my absolute favorite -- along with The Jewels of Paradise -- of all of Donna Leon's insightful publications. Mira, Umberto Eco's observation of books being taken apart and being sold, page by page, is sadly accurate. 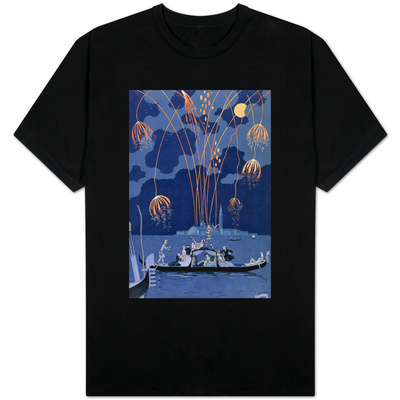 Many beautifully illustrated books -- including those with painstakingly beautiful illustrations of fauna and flora -- are subjected to such profitable, by-the-page sales. Additionally, many such dismembered books were published in limited editions, so the availability of complete editions is greatly reduced. The plot sounds quite intricate. Umberto Eco said in This Is Not the End of the Book that manuscripts are often vandalized and sold by page rather than as a whole object. It appears that your book deals with this kind of vandalism. Daytime hauntings outside afford clear views of ghosts. They help identify Winchester Mystery House’s garden phantoms. They offer no insights as to why the spirits are there. Diamonds are best friends with expert burglars and fences. They can be ground up and sold in untraceable paper trails. Is that what happened to the unrecovered Eagle Diamond?